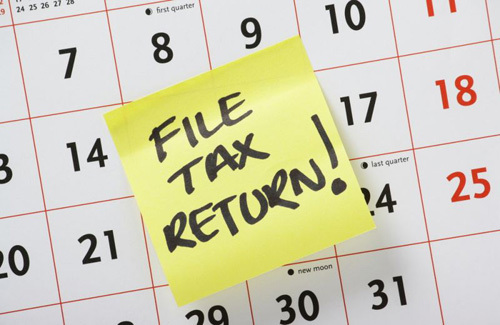 Are You Individual, And Would You Like To File Your Tax Return? Canada child benefit (CCB): As of July 2016, the CCB has replaced the Canada child tax benefit (CCTB), the national child benefit supplement (NCBS), and the universal child care benefit (UCCB). Northern residents deductions): The basic and additional residency amounts used to calculate the northern residency deduction have both increased to $11 per day. Children’s arts amount: The maximum eligible fees per child (excluding the supplement for children with disabilities) has been reduced to $250. Both will be eliminated for 2017 and later years. Home accessibility expenses: You can claim a maximum of $10,000 for eligible expenses you incurred for work done or goods acquired for an eligible dwelling. Family tax cut : The family tax cut has been eliminated for 2016 and later years. Children’s fitness tax credit: The maximum eligible fees per child (excluding the supplement for children with disabilities) has been reduced to $500. Both will be eliminated for 2017 and later tax years. Eligible educator school supply tax credit: If you were an eligible educator, you can claim up to $1,000 for eligible teaching supplies expenses. Tax-free savings account (TFSA) : The amount that you can contribute to your TFSA every year has been reduced to $5,500. Investment tax credit): Eligibility for the mineral exploration tax credit has been extended to flow-through share agreements entered into before April 2017. Labour-sponsored funds tax credit): The tax credit for the purchase of shares of provincially or territorially registered labour-sponsored venture capital corporations has been restored to 15% for 2016 and later tax years. The tax credit for the purchase of shares of federally registered labour-sponsored venture capital corporations has decreased to 5% and will be eliminated for 2017 and later tax years. Tax on taxable income: The tax rates and income levels have changed. As a result of this change the donations and gifts tax credit calculation has changed. Split income of a child under 18: The tax rate has increased to 33%.